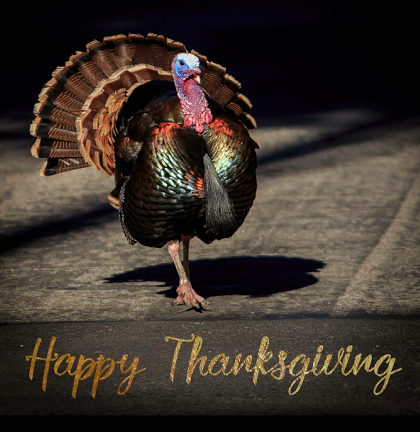 A Frugal Family's Journey: HAPPY THANKSGIVING - From our Frugal Family to yours! HAPPY THANKSGIVING - From our Frugal Family to yours! I started our blog approximately 3 1/2 years ago on March 15, 2014. Today, as I sit here looking at the roughly 614,000 lifetime visits to our little blog, I can't help but feel very blessed. I must admit that it just started out as a way to track our journey and keep our family on track towards our ultimate goal of early retirement. Considering that can no longer commit 10-15 hours each week that I use to for this blog, I honestly didn't expect to have or maintain the continually success that we've enjoyed. For that, I am VERY thankful! Our Readers - for your frequent visits and contributions to our blog. Fellow Bloggers - for the community, advice, and feedback. My job - for giving me the financial ability to provide for my family and also invest for early retirement. My Friends & Family - for your ongoing love and support in all aspects of my life. God - for continuing to guide and steer me in the right directions. May you all have a wonderful Thanksgiving Celebration!! Thanks AFFJ. Happy Thanksgiving to you too. I am thankful for many things, but just happy to be alive.